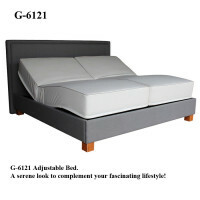 You can choose the most comfortable position for sleeping, reading, watching TV, and other activities. The mattress has ergonomic comfort zones that conforms to your body’s control. Free Delivery within the city of Metro Manila and Cebu..